Given the price of gasoline in the U.S. and growing interest in sustainability, it’s no surprise that an estimated 57 million-plus Americans ride bikes. Bicycling also is a great way to exercise and improve health. Here in Southwest Florida’s beautiful communities, bike riders have abundant scenery and natural locales to enjoy. But increased numbers of bicycles on our roads mean that riders may be at greater risk for accidents that can leave them with serious injuries or loss of life. Across the U.S., 630 bicyclists were killed in crashes with motor vehicles in 2009. That’s almost two bike riders’ lives lost every day in our country. And Florida led the nation in the number of fatal bicycle accidents. Naples and Fort Myers bicycle accidents at Associates and Bruce L. Scheiner, Attorneys for the Injured, know that the figures for injuries among bicycle riders are just as sobering. The U.S. Department of Transportation’s bicycling information website confirms that 51,000 bicyclists are hurt in traffic crashes in a year’s time – almost 1,000 bikers per week. Local bike riders know our firm’s reputation for advocacy and support of safety initiatives. Associates and Bruce L. Scheiner is a name frequently linked with law enforcement officers and citizens’ groups that are dedicated to improving safety for motorcyclists, motor vehicle drives and passengers, pedestrians, bicyclists and others who use our roads. Bicycle accident attorneys at our offices in Fort Myers, Naples, Cape Coral and other cities know that Florida roads are the site of 4,774 bicycle and motor vehicle crashes every year. In 2009, accidents with motor vehicles killed 99 bicyclists and 1 passenger. Our firm’s personal injury and wrongful death lawyers provide the sure and assertive representation injury victims need in order to seek compensation for medical care, lost income, and other costs related to their injuries. When families lose a loved one in a bicycle accident, our firm’s wrongful death attorneys are the accomplished professionals here to help. We are sensitive to the pain and grief that accompany the loss of a loved one. And we are determined that families deserve the consolation of knowing that negligent, careless or drunk drivers responsible for bicyclist fatalities will be held responsible for their actions. Our work has brought at-fault drivers to justice and recovered monetary damages for bereaved family members. 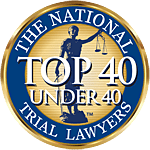 In the 40 years that Associates and Bruce L. Scheiner, Attorneys for the Injured, has served the communities of Southwest Florida, our bicycle accident attorneys in Fort Myers and Naples have taken special care in representing children hurt in such accidents. The Centers for Disease Control and Prevention confirms that nearly 60% of the bicycle accident injuries treated in U.S. emergency rooms involve children. CDC estimates put the cost of bicycle injuries in our country at $4 billion per year at least. When bicyclists are struck by motor vehicles, injuries may involve serious head wounds, multiple broken bones, deep cuts, organ damage, spinal cord injuries and other severe wounds. Children who are badly hurt in bike crashes could be in for a lifetime of medical needs. Treatment can be expensive, and if severe injuries mean that a child will never be able to earn a living as an adult, then financial needs can be a long-term consideration. At Associates and Bruce L. Scheiner, Attorneys for the Injured, our Fort Myers, Naples, and Cape Coral bicycle accident attorneys can advise you about your rights if you or your child have been harmed by a careless driver who struck your bicycle. Because we are a family-run firm, Associates and Bruce L. Scheiner, Attorneys for the Injured, feels a special bond with families – especially those who have endured the tragic loss of a child in a bicycle accident. We are dedicated to serving you with sensitivity and consummate professional skill. Our firm offers you a free consultation to discuss your rights and your options in the aftermath of a fatal bicycle accident. If we don’t recover damages for you, then you owe us no fees.